The Hi-Speed yet 13amp power requirement of this model makes it the ‘junior’ alternative to the top of the line VCT2000 (which requires a 16amp supply). 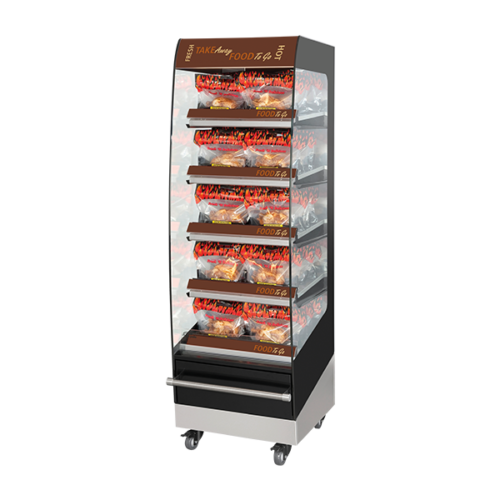 The simple Dial control enables this unit to be operated almost anywhere there is a 13amp socket, and opens up the potential for operators to add toasted buns to their menu to enhance their product almost anywhere. The buns are not quite as incredibly hot as its more powerful big brother produces, but still need careful handling when picking up from the discharge chute. Antunes Vertical Contact Toasters make Burgers Taste Better! There’s no easier way to improve the quality of a burger than by serving it on a hot toasted bun. 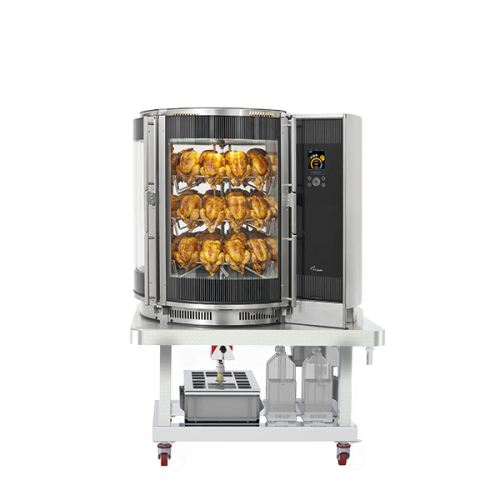 Vertical Contact Toaster Models by Antunes are used in the largest and most successful foodservice operations around the world. Models are tailored to the timing of the operator’s own product, yet all VCT’s give buns a consistent, golden-brown finish that helps burgers taste better, look better, and feel hotter when in the hands of the customers. Sandwiches taste better when served on a toasted bun because the buns do not soak up the juices of the ingredients. So all of the flavours only combine with each delicious bite. Untoasted buns lead to damp, flattened, and unappetizing sandwiches that leave customers disappointed. Toasted buns stay firm and keep their shape so the sandwich looks as good as it tastes. when in the customers’ hands. A toasted bun retains heat long after it leaves the toaster, so the sandwich is still nice and warm when served. Forget batch toasting. 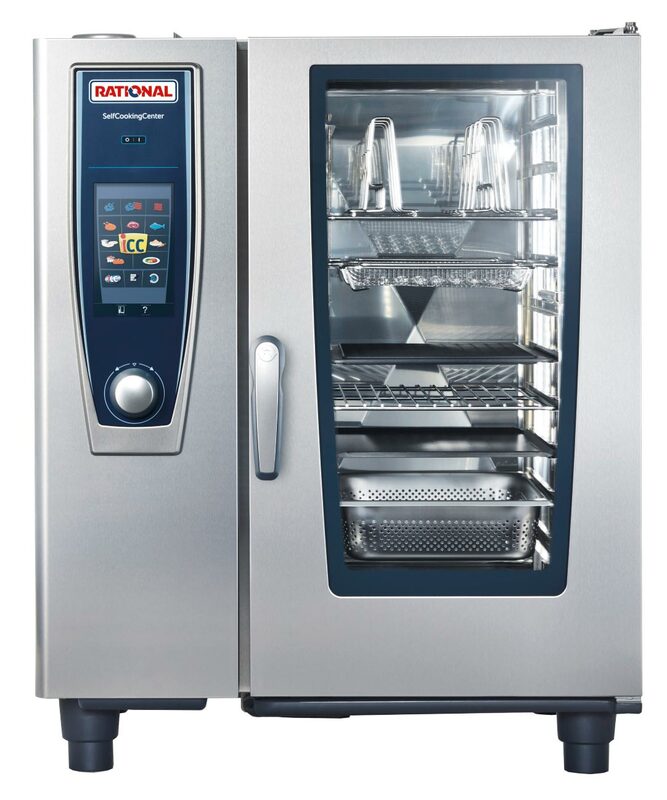 Antunes Vertical Contact Toasters come in a variety of toast times—ranging from 10 to 50 seconds—so operations can toast buns as needed and serve hot sandwiches fresh without causing any delays. Easily control how buns are toasted. 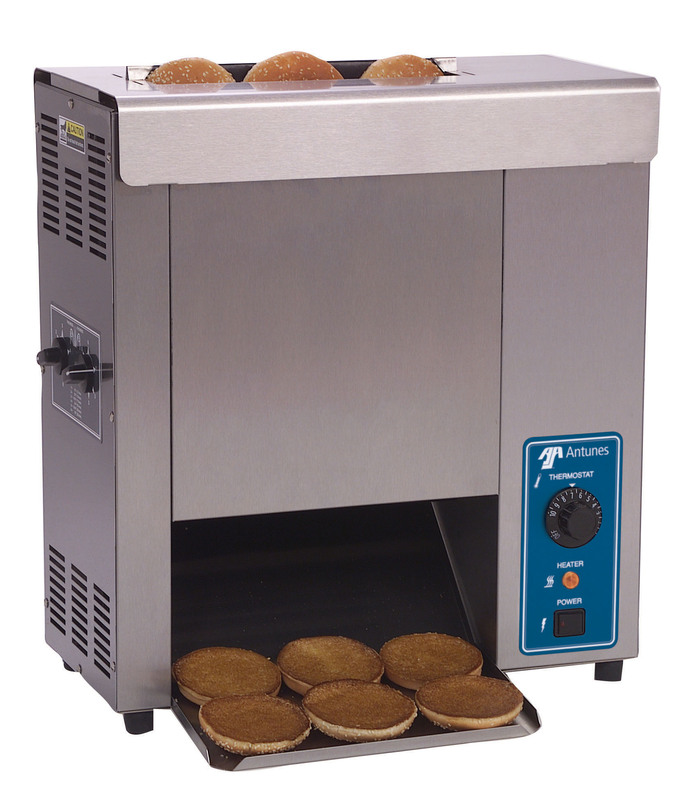 Using the Antunes Vertical Contact Toaster, the compression settings and platen temperature are adjustable so every bun can have a golden-brown finish without being flattened or marked. for excess. 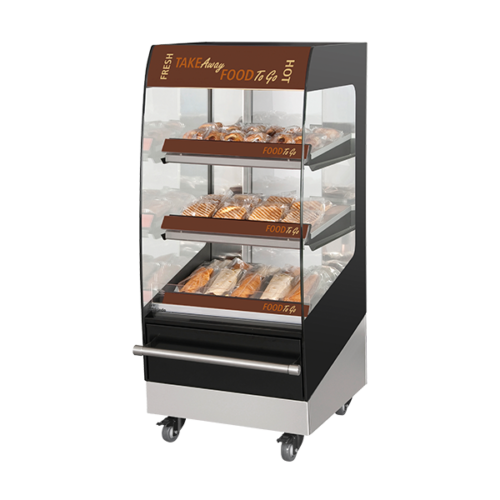 The Vertical Contact Toaster features an upright design that saves valuable counterspace, allowing it to easily integrate into any operation.